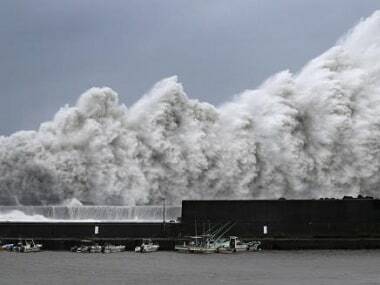 Typhoon Jebi slammed into the west coast of Japan around noon on Tuesday, bringing maximum winds of 216 kilometres (135 miles) an hour and heavy rain. The powerful gusts ripped sheeting from rooftops, overturned trucks on bridges and swept a 2,591-ton tanker anchored in Osaka Bay into a bridge leading to Kansai International Airport. 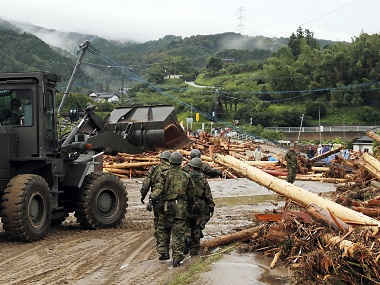 The strongest typhoon to hit Japan in 25 years made landfall on Tuesday, the country's weather agency said, bringing violent winds and heavy rainfall that prompted evacuation warnings. 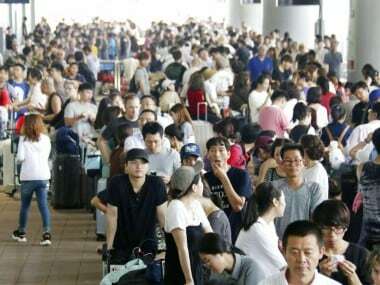 A powerful typhoon Jongdari hurtled towards Japan on Saturday, with western areas recently devastated by floods and landslides in the storm's cross-hairs. 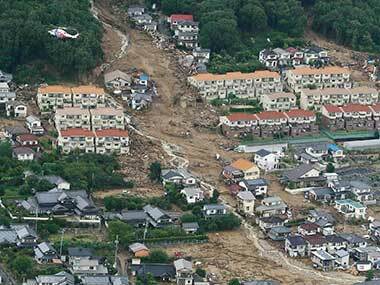 The torrential rain in Japan has caused flash floods and landslides across central and western parts of the country.